We love working with non-profits and helping them succeed in the digital age. That’s why we donated a website to True Sojourners. True Sojourners is a non-profit organization specializing in development consulting that is dedicated to blessing and empowering the people of the “hard places” of this world with tangible demonstrations of God’s love for them. They accomplish this through a series of unique development initiatives that are all done in partnership with local leaders who direct each project. 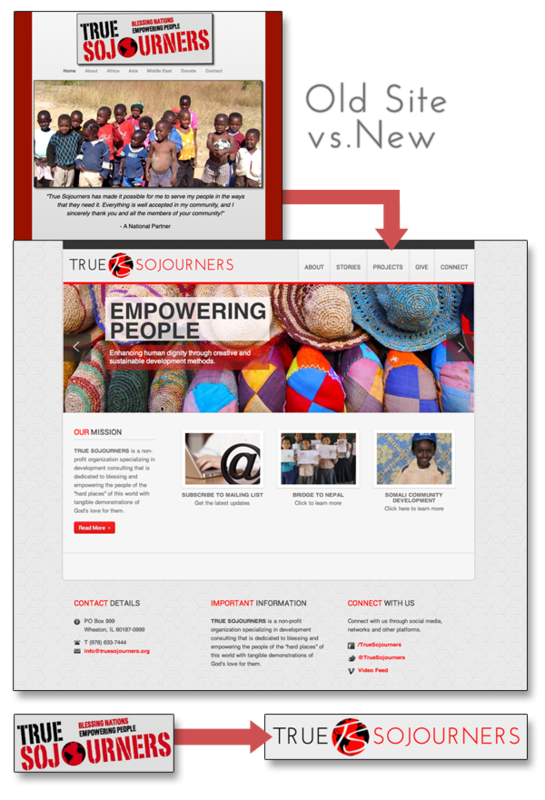 For the True Sojurners project we reworked the logo and website while integrating a new giving module ( fivetwo.org ). The new site includes a blog, video integration and new engaging imagery. In addition to the website and logo redesign, we helped set up their social media presence and advised them with an ongoing strategy. We were pumped to help our friends out! Go find out more about them at their website.